Days after being dropped from Bharatiya Janata Party's list of Lok Sabha contenders, party veteran Lal Krishna Advani on Thursday wrote a blog titled ‘Nation First, Party Next, Self Last’, in which he emphasised that the saffron party advocates for freedom of choice and does not believe in branding people "anti-national" for their different political stand. Advani’s views assume significance at a time when the BJP under Prime Minister Narendra Modi and party president Amit Shah have made the issue of national security a key plank for the general elections and have often accused its political rivals of speaking the language of India's enemies like Pakistan. Advani speaks: The party veteran in his blog wrote that the BJP right from its inception has never regarded those who disagreed with it as enemies but only political adversaries. “Similarly, in our conception of Indian nationalism, we have never regarded those who disagree with us politically as 'anti-national',” he wrote in the blog. "I take this opportunity to convey my most sincere gratitude to the people of Gandhinagar, who have elected me to the Lok Sabha six times since 1991. Their love and support has always overwhelmed me," Advani also said. 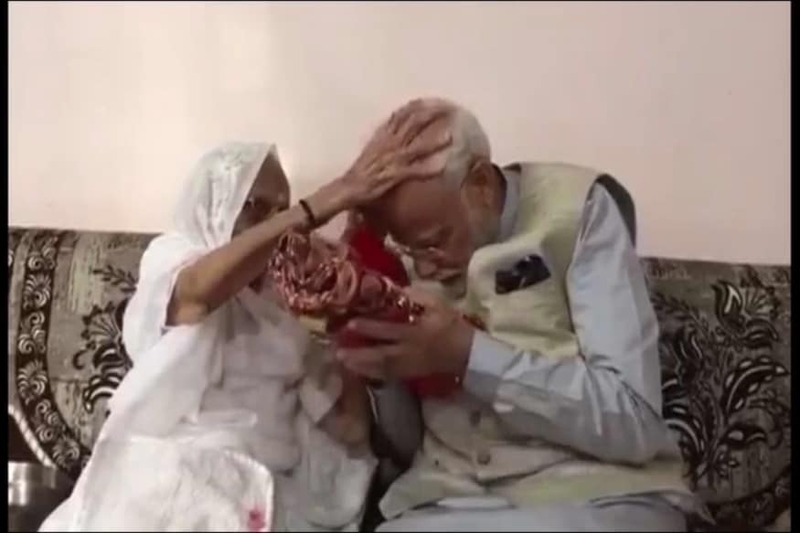 He said she said: Hours after BJP veteran LK Advani posted his blog, Prime Minister Narendra Modi tweeted and said that the leader's views "perfectly sums up the true essence of BJP". PM Modi added that he was proud to have been associated with great leaders like Advani. "Advani Ji perfectly sums up the true essence of BJP, most notably the guiding Mantra of ‘Nation First, Party Next, Self Last.’ Proud to be a BJP Karyakarta and proud that greats like LK Advani Ji have strengthened it," he wrote. It’s an action-packed Friday on the campaign front with Congress, BJP and Trinamool Congress taking out a slew of rallies. 1. From the BJP camp, PM Modi will be heading to Uttar Pradesh and Uttarakhand. He will address rallies in Amroha, Saharanpur and Dehradun. Meanwhile, Amit Shah will be addressing public meetings in Arunachal Pradesh, Manipur and Assam today. 2. The Trinamool Congress chief Mamata Banerjee will also be in Assam’s Dhubri district following which she is expected to head to Naxalbari and Siliguri. 3. Congress chief Rahul Gandhi will be addressing three rallies in Maharashtra starting from Pune where he will be interacting with students. The Congress General Secretary Priyanka Gandhi Vadra will be in Ghaziabad for in a show-of-support for the party’s candidate Dolly Sharma. Christian Michel, the alleged middleman arrested in the AgustaWestland VVIP choppers deal case, is understood to have identified the initials "AP" as senior Congress leader Ahmed Patel in a chargesheet filed by the Enforcement Directorate (ED) before a court here on Thursday. Ahmed Patel was former Congress president Sonia Gandhi’s personal secretary at the time when the VVIP chopper scandal broke. ED, in its supplementary charge sheet filed under the Prevention of Money Laundering Act (PMLA), said "a part of kickback was paid to defence officials, bureaucrats, media persons and important political persons of the ruling party" when the deal was being struck. 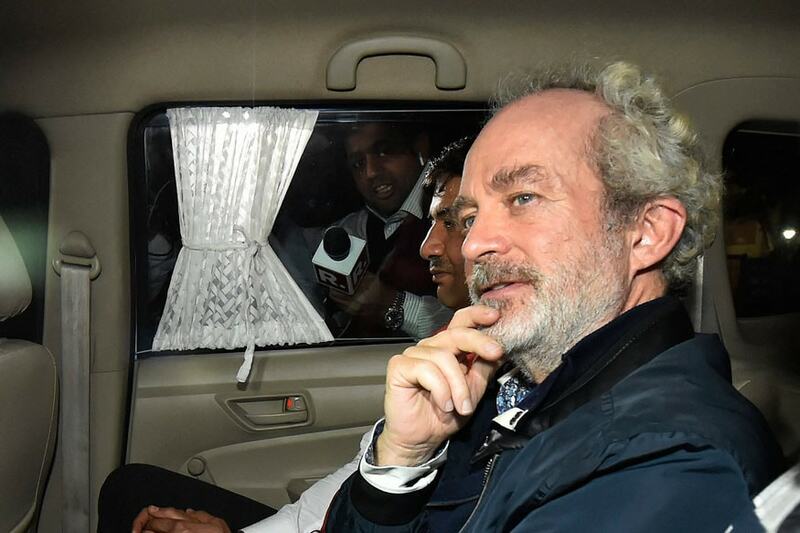 "Christian Michel James has further disclosed various abbreviations used in the budget sheet, which contains the details of the payments made to Air Force officials, bureaucrats and political persons,” the charge sheet said. A number of eminent scientists have endorsed a statement of solidarity against the “caste-based discrimination and institutional harassment” of a Dalit academic from IIT-Kanpur, Dr Subrahmanyam Saderla. The experts are among the 400 scholars, academics and activists from 16 countries, including American mathematician and Fields Medal recipient David Mumford and physicist and Padma Bhushan awardee Ashoke Sen. The statement comes after the institute’s senate on March 14 voted to revoke Saderla’s PhD thesis on the ground of plagiarism following an anonymous complaint sent. The allegations came after four professors in the university were found guilty of discrimating against Saderla. Rahul Gandhi on Thursday filed his nomination from Kerala’s Wayanad constituency for the upcoming Lok Sabha polls. Gandhi, who is also contesting from his home turf in Amethi, said that his decision to fight from Wayanad was to “send a message to the BJP”. “South, north, east, west and centre…all are one. There is an assault taking place across the country by the RSS and the BJP. I just want to send a message,” he said. Interestingly, Gandhi said that he would “not say a word against the CPM” and will “absorb all their attacks with happiness”. Following his nomination filing, Gandhi embarked on a roadshow with his sister and AICC general secretary Priyanka Gandhi. 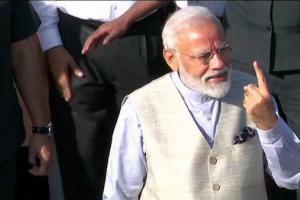 The Election Commission (EC) on Thursday said it had sought specific details from State-run Doordarshan (DD) News as it was looking into a complaint which alleged that the channel was used as a tool to promote and advertise Prime Minister Narendra Modi's "Main Bhi Chowkidar" event held recently. 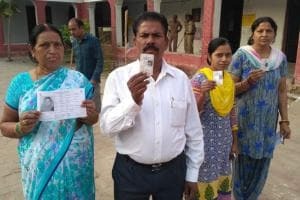 "We have asked them (DD) as to how they are allocating time for various political parties' coverage and also, if there is a standard time allocated to a particular party and how is this being done.," Deputy Election Commissioner Sandeep Saxena said. The Congress had asked the EC earlier this month to issue urgent directions to the Information and Broadcasting Ministry and Prasar Bharti (DD News), and for passing of censures against the ruling BJP for "using government-owned news channels as a tool to promote and advertise their election campaign". News18 Election Lab: How feasible is Congress’s promise of doubling health budget and providing universal healthcare? 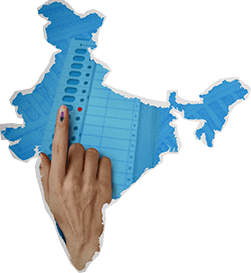 In its election manifesto released on Tuesday, the Congress has promised to enact the Right to Healthcare Act by including free diagnostics, out-patient care, medicines and hospitalisation through public hospitals and enlisted private hospitals. As per the economic survey 2017-18, in about last six years the health expenditure has varied from 1.1% to 1.5% of the country’s GDP. The Congress intends to change that and increase the government expenditure year-wise to double the healthcare budget to 3% of the GDP by 2023-24. But is this feasible? Read Swati Dey's analysis. This will be the first time Rahul Gandhi will contest elections from two seats at once. Why is Wayanad Rahul's second seat of choice, why is it so important for Congress?